White Lighter Club - One Nite Only! 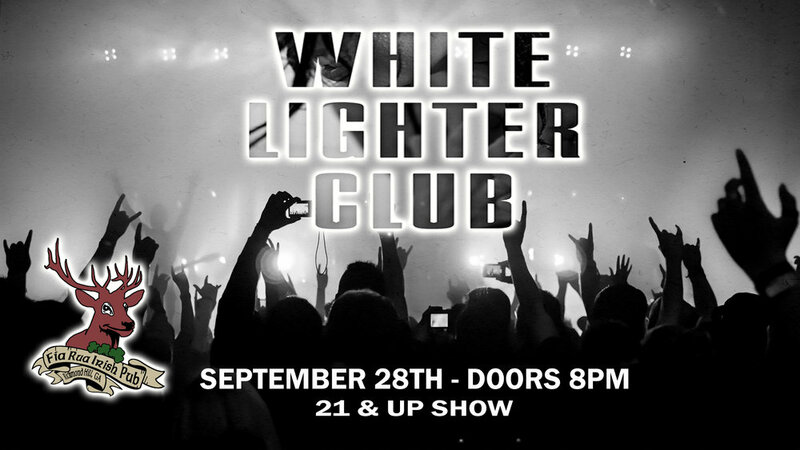 One of Jacksonville's hottest new rock bands, the White Lighter Club, is coming to Fia Rua Irish Pub for ONE NIGHT ONLY. They have played on the VANS Warped Tour in 2018 and are set to break out in a big way! This will be a FREE show but is a 21&UP ONLY SHOW. Doors 8PM. Show at 9. Check out their bandcamp below for a sample of their badass rock prowess! New website will be up soon!